Located in the heart of Beverly Hills, Porta Via Palisades offers delectable dishes for breakfast, lunch, and dinner. From their signature French toast to flavorful soups, fresh fish, and an array of delicately seasoned side dishes, Porta Via delights its guests no matter the hour. Even the restaurant's design, which is bright and airy, creates an inviting atmosphere for everyone that passes by in the famous shopping district to drop in for a bite to eat. 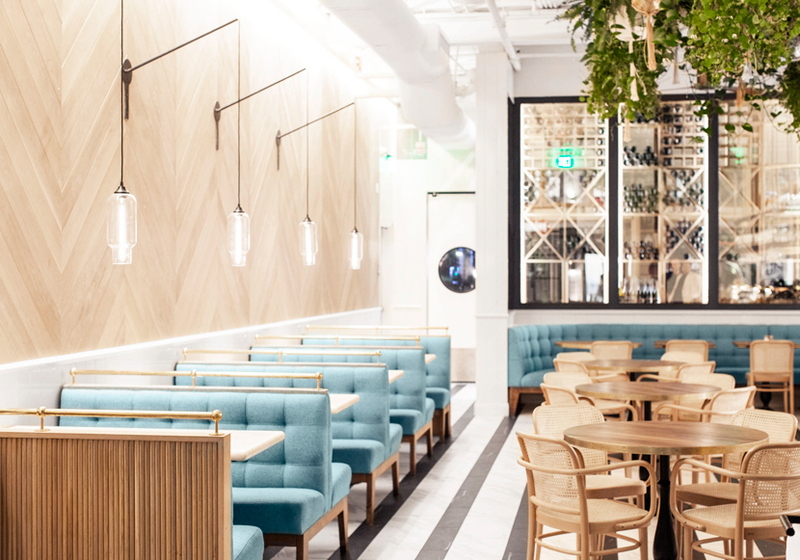 Hanging above cozy, blue upholstered benches, Niche's hand-blown Pharos pendant lights create an intimate setting for patrons. 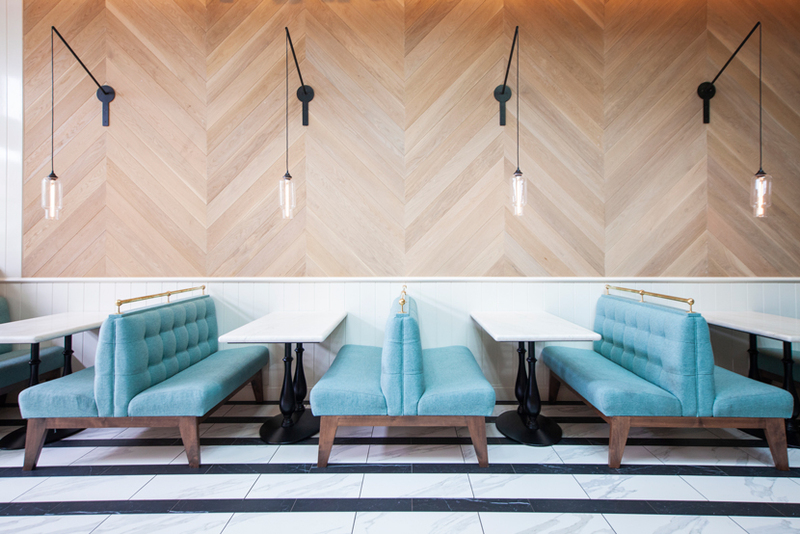 Our classic Crystal glass complements the clean aesthetic and stands out against the light herringbone wood wall. Designer Sophie Goineau suspended these sleek pendants from a custom designed sconce. We couldn't be happier with this project's final look. If you ever find yourself wandering down Canon Drive, stop by this contemporary California bistro. If we weren't on the opposite coast, we'd be feasting on their classic and creative cooking all the time!